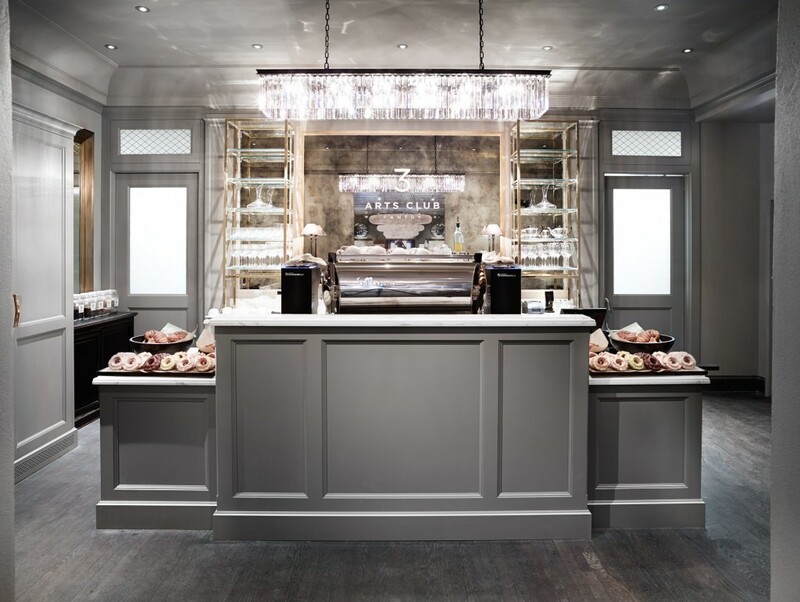 Cozy up this winter with a hot cup of coffee at one of these top-notch cafés. 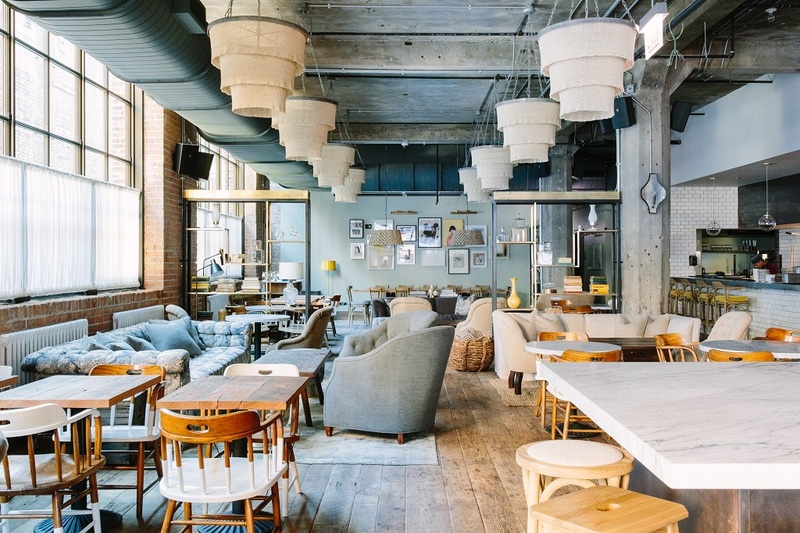 They impress Chicagoans not only with their menus of cold brews, lattes, and espressos but also their stunning interiors. 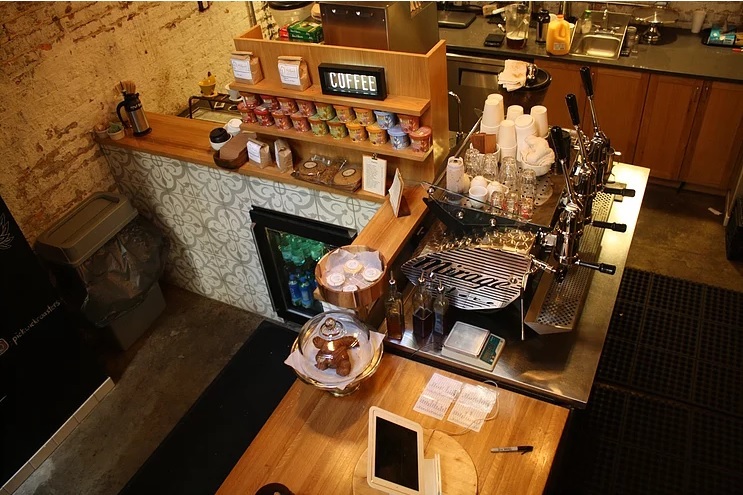 These ten coffee shops regularly pop up on Instagram thanks to their inspired customers and creative designs. If you’re looking for a little extra kick in your cup of joe, C.C. Ferns is there for you. Their small, wood-paneled café is equal parts funky and cozy, complete with vintage furniture and quirky outdoor décor. But the star of the show is the liquor warming up their boozy steamers. Choose from six different drinks including a Cuban Latte (rum and caramel espresso) and Whiskey & Cream (Jameson, Bailey’s, and espresso). Check out more of the shop here. Soho House Chicago in the Fulton Market District plays host to The Allis, a two-story multi-purpose food and drink spot. Come here for light, all-day café eats, afternoon tea, coffee, cocktails, and wine. No matter what time of the day you visit, the glittering chandeliers, plush seating, and floor-to-ceiling windows welcome you warmly. The neutral, cool-toned color scheme is comforting, providing a perfect setting for a hot drink and a good read. 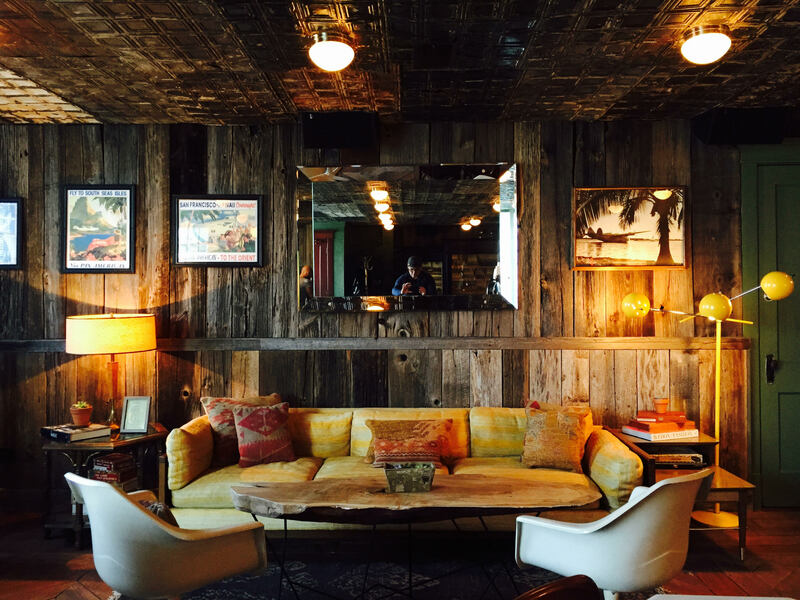 Visit as a Soho House guest or just a passerby. See more of it here. 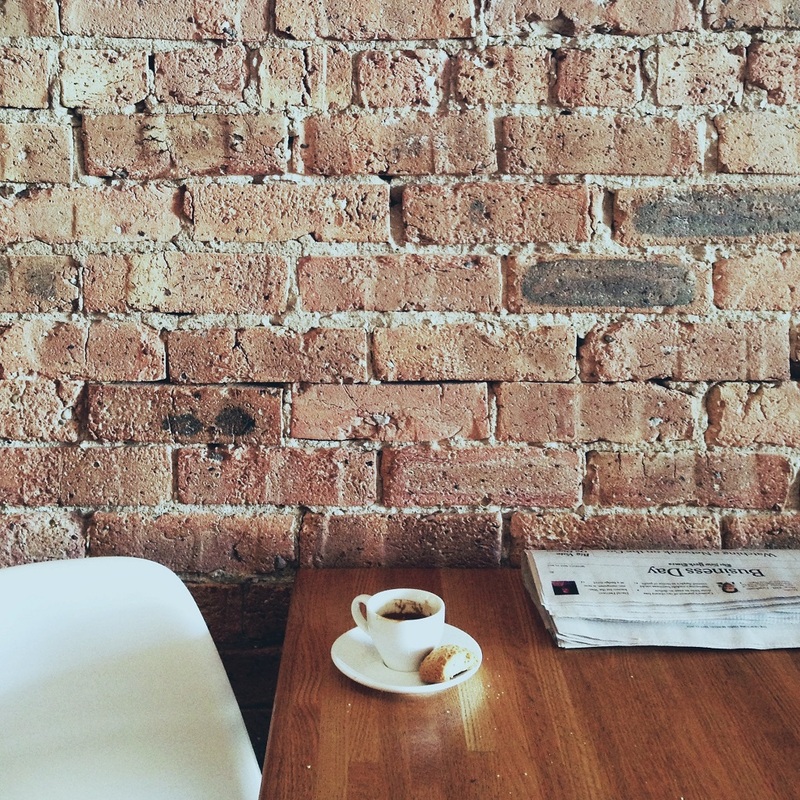 The heart of Andersonville is a charming place to browse boutiques and shops of all sorts, and The Coffee Studio represents the neighborhood aesthetic to a T. It’s all about clean lines, pale wood, big mirrors, and warm lights. The atmosphere sets a reassuring and productive mood, so pack your laptop and settle in to get some work done. The tables are even dotted with glass terrariums to bring a little green space indoors. See what people love most here. Pickwick is all about providing a pick-me-up. Their cramped Loop space is tucked away down an alley off Jackson Avenue, making it the quintessential hidden gem of Chicago’s coffee scene. It’s not a place to linger, but best visited when passing on the go. The outside seating, signs, and twinkle lights label it a clear Instagram favorite among the city’s bean drinkers. Check out some of the best customer shots here. This South Side café is all about quirky pieces, bright colors, and a funky vibe. Jackalope’s loud and graphic design of its interior may not lend much to a calming atmosphere, but it’s always a great place to stop in for a coffee with friends. Relax on an old car bench and sip on your latte while you take in the unique décor. You can even browse through the community bookshelves they stock for a new read. See more of what Jackalope has to offer here. In the Restoration Hardware Chicago building in the Gold Coast is one of the city’s most upscale coffee joints. 3 Arts Club Café has a posh setting in an indoor courtyard with plush couches and leafy plants underneath sparkling chandeliers. Stop in to enjoy coffee, tea, pastries, beer, and wine during any time of the day after downtown holiday shopping. You don’t need to be sophisticated to appreciate the beauty of this coffee experience. 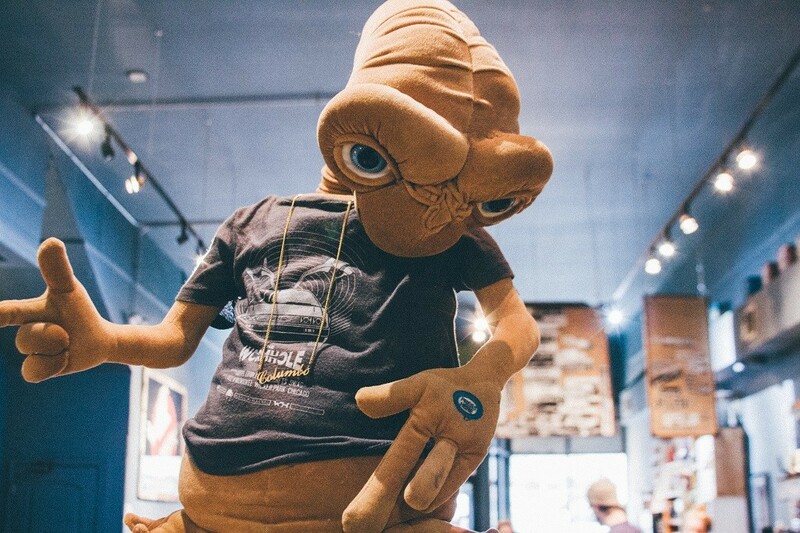 Peruse more of its Instagram allure here. It doesn’t get much cozier than Eva’s Cafe in Old Town. Suitable for popping into for a quick visit or staying awhile, it’s popular among neighborhood locals and citywide residents alike. 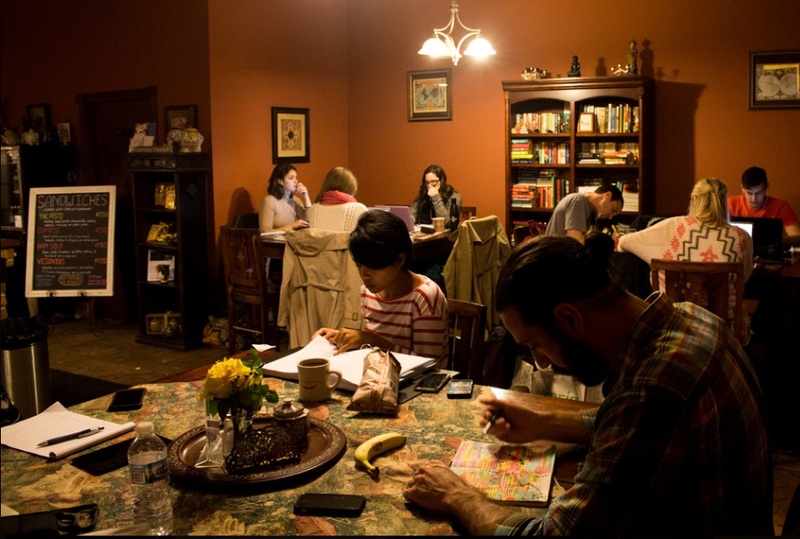 It’s typically packed full of people reading, studying, or otherwise getting work done, and for a good reason. The interior is reminiscent of your grandmother’s house, complete with dining room-style tables, cushy chairs, and vintage floor lamps. Check it out here. Just a man in his living room. In a coffee shop. 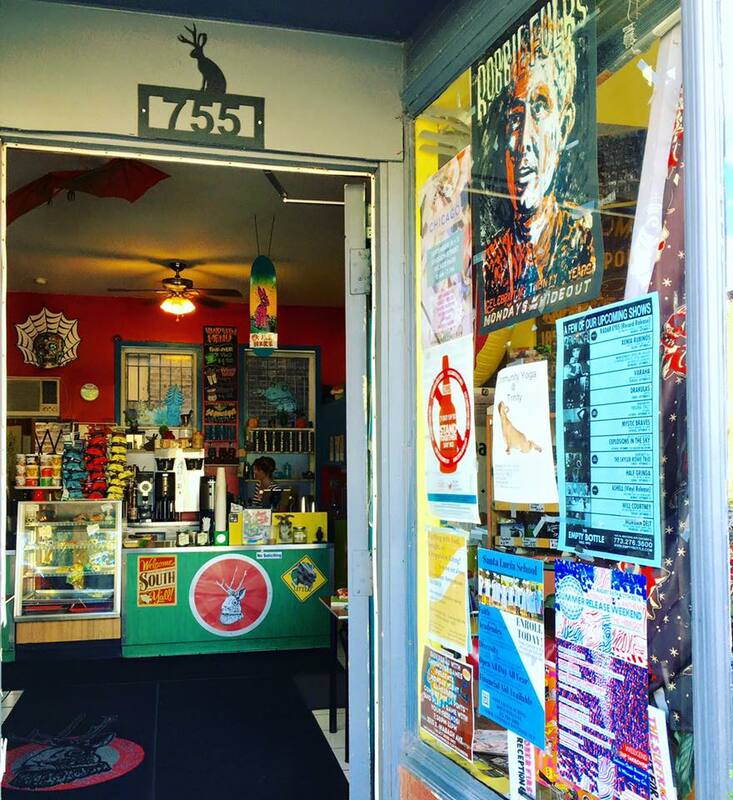 Get a blast from the past at The Wormhole Coffee in Wicker Park. The whole space is 80s themed, and it goes above and beyond to express that. Most notable is their nearly full-sized Delorean car sitting on raised platform in the back of the café, straight out of Back to the Future. But the period décor doesn’t stop there. They have old computers sitting out next to the napkins, Ghostbusters posters on the walls, and even Super Mario Bros. hooked up to an old Nintendo. See it all here. Café Integral in the Freehand Hotel brings a little corner of culture to River North. They brew only the finest premium coffee from Nicaragua, making you feel as though you’ve left Chicago, if only for a little while. You can also find local teas, fresh cocktails, and seasonal food menus. 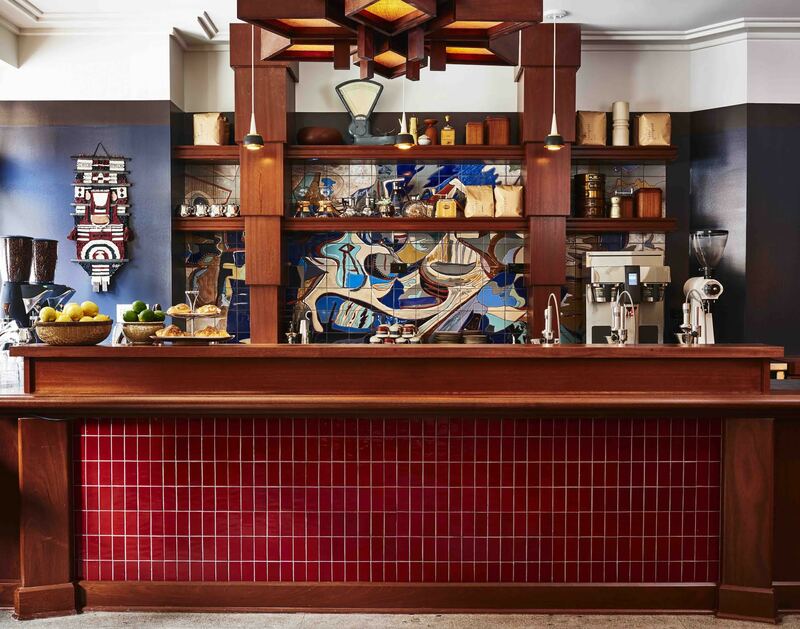 The inside is small, but it has an impressive wooden bar with colorful mosaic tiles. It’s exactly the type of oasis needed in the bustling downtown area. See more of it here. If you want to taste coffee from around the world without ever leaving Chicago, Gaslight Coffee Roasters is one of your best bets. They serve roasts from Ethiopia, Guatemala, Brazil, and Peru, among many others. 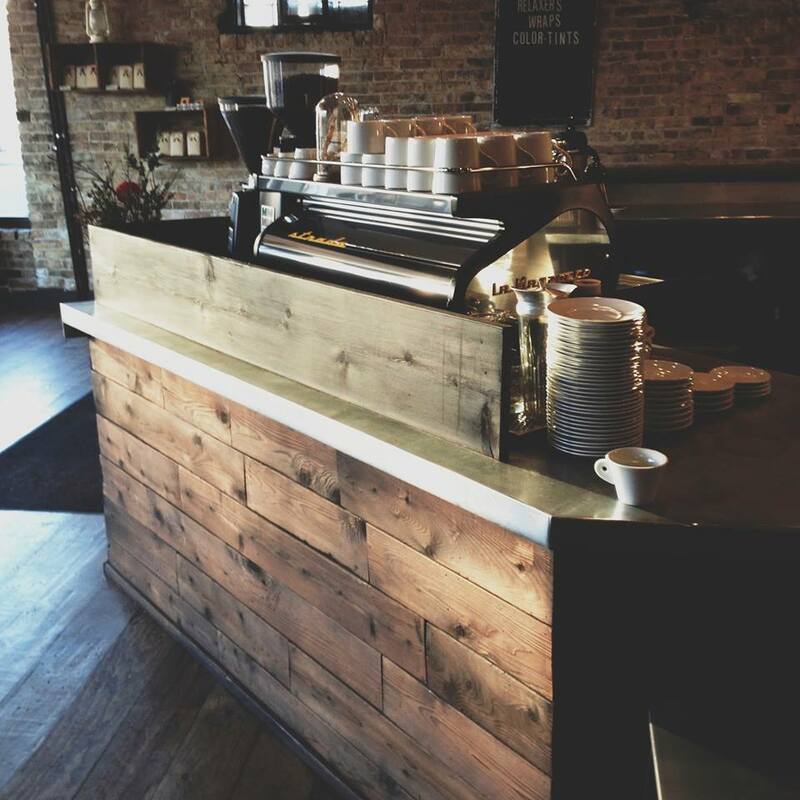 Their interior is simple and clean, full of rustic wood, exposed brick, and coffee aromas wafting throughout. You can even buy their special blends online if you just can’t get enough. See what they’re all about here.